An ideal destination for spacious luxury living in a clean and safe environment. Scenic, Safe, Modern & Friendly. The gated neighborhood of Dolphin Village is enthused about expanding as a residential resort. Having already opened several new villas & apartments, to breaking ground on the clubhouse, the final phase of the master plan is underway. Dolphin Village has done much to its property in recent months to remain the ideal destination for those seeking an inimitable experience. 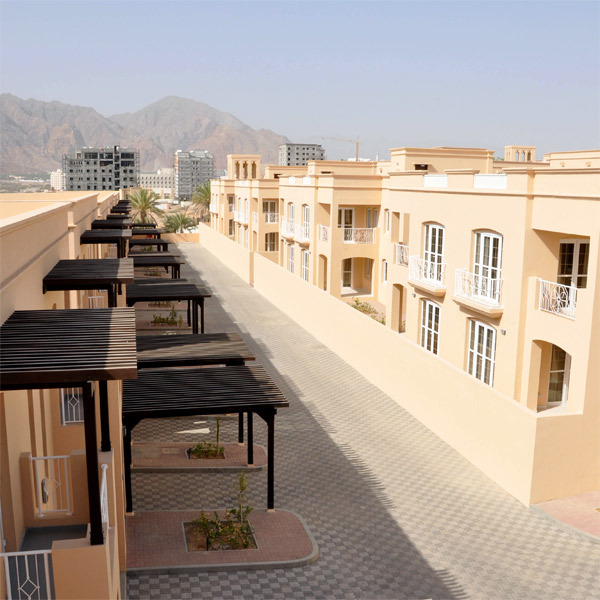 With its relaxed & friendly atmosphere, members are part of a premier development in Oman. The growth of Dolphin Village will continue with the opening of its impressive new clubhouse in July 2014. The clubhouse building not only accommodates a full serviced lounge, family center, game room, and restaurant but also is home to 15 one-bedroom apartments. On the first floor of the clubhouse building, we will offer ten executive one-bedroom apartments with balconies. The top floor will include five penthouse apartments, each with its own private sun deck. Tenants will appreciate the scenic backdrop of the mountains and dunes right outside their window. The final phase, which will be completed in September 2014, will account for 44 additional residences; 8 four-bedroom twin villas, 24 three-bedroom apartments, 8 two-bedroom apartments, and 4 one-bedroom apartments. A third in-ground pool with waterfall features will be built as well. The 1.9 meter deep pool slopes into a shallower area, allowing children to play & parents to unwind. All residences are equipped with a refrigerator, stove & oven, washer, air conditioners, curtains, wardrobes, telephone line, multi-satellite TV channels, Wi-Fi, assigned private parking, gardeners, 24 hour maintenance, daily garbage collection, 24 hour security and onsite professional managers. Homes can be leased as unfurnished (including all the amenities above) to fully furnished & serviced residences. Services include housekeeping and laundry. Once the transformation is complete, Dolphin Village will offer 337 homes. Our fully equipped gym & spa, along with the clubhouse, are a few exciting highlights of the expansion. More amenities include: three swimming pools, a children’s playground, tennis courts, a squash court, dance studio, and aerobics room. Dolphin Village works hard to cater to its members and deliver the luxury living experience they seek. Dolphin Village, a residential resort community in Bausher has opened sixty-eight additional residences: adding twin villas and one, two and three bedroom apartments to the current 140 homes in the Village. 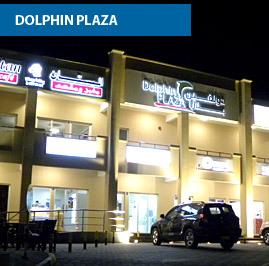 The Chairman of Yahya Group Holding, Mr. Yahya Mohammed Nasib, who owns Dolphin Village told the Times of Oman; “As we have been 100% occupied we decided to expand and improve Dolphin Village”. He continued, “We are unique in that we offer a community to ex-pat families with a variety of facilities and the flexibility to have the type of home they want from unfurnished to fully furnished and serviced”. Initially Dolphin Village was 83 villas with a clubhouse, restaurant, pool, gym and tennis courts. Over the past six years the transformation into modern and efficient homes has been taking place. Ken Mueller, General Manager of Dolphin Village said, “We are in Phase III of our rebirth. Adding 68 new homes, in little over a year, has been an accomplishment for Yahya Construction as they isolated the construction site and had minimal disruption to the Village”. Mr. Mueller also stated, “We have over fifty percent of this new phase already leased, this is a testament to the quality of our construction and the community we offer”. Times of Oman was also informed that the clubhouse and restaurant is going through a rejuvenation during Ramadan and a new state of the art gym and full service spa will be opening in October of this year.